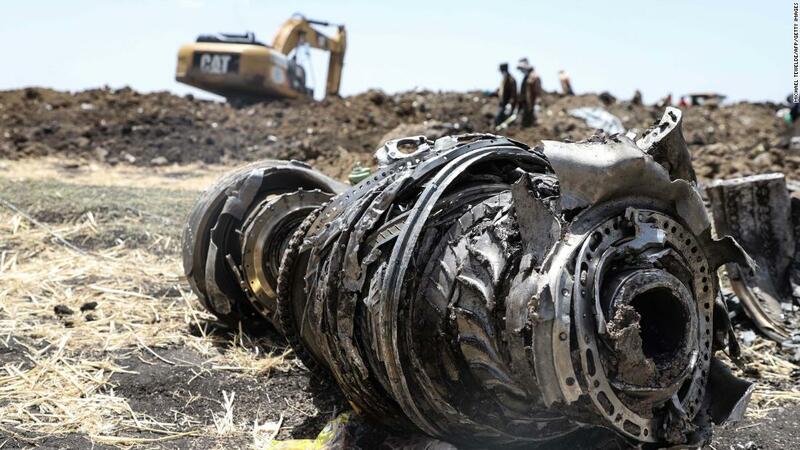 (CNN) After the crash Sunday of a Boeing 737 MAX 8 aircraft in Ethiopia, questions have risen around Boeing, the Federal Aviation Administration, and why this crash occurred just months after a similar crash involving the same type of airplane. Why did the US wait to ground these planes? According to Elwell, the tracking data for the Ethiopian flight was not available to be analyzed by the FAA until Wednesday. That data, along with information found at the site of the crash — which was also analyzed Wednesday — pushed the FAA’s decision to ground the Boeing 737 MAX aircraft that same day, according to a press release from the FAA. Canada’s Transport Minister Marc Garneau also cited the “new data” received on Wednesday morning as the reasoning behind their decision to ground the planes. China was first to order the Boeing 737 MAX aircraft to be grounded on Monday. In its announcement of the decision, the Civil Aviation Administration of China cited the facts that the recent crash involved the same aircraft as the crash in Indonesia last October and both crashes occurred shortly after takeoff. So, while some countries decided to land the planes on Monday and Tuesday, Canada and the US waited until Wednesday, citing new data that better established a possible connection between the crash Sunday and the crash from last October. Why does FAA outsource some of its safety approval process? The FAA has also received renewed scrutiny this week for a program that allows manufacturers such as Boeing to help certify the safety of their own aircraft. Since the 1950s, the FAA has delegated some certification responsibilities to private experts, but in 2005 the agency launched an initiative that gave aviation companies the ability to select their own employees to perform inspections and approve the airworthiness of planes. The FAA states that it “doesn’t have the resources to do all the certification activities necessary to keep up with an expanding aviation industry,” and therefore relies on designated private companies and their employees for such approvals. A team of FAA engineers and inspectors preside over the program to uphold safety standards, according to the FAA’s website. But a 2011 report by the Department of Transportation’s inspector general found that the arrangement created “potential risk” for aircraft manufacturers to appoint employees with inadequate qualifications or poor performance records. The FAA said in a statement companies must go through a rigorous process to become part of the designation program, known as the Organization Designation Authorization (ODA) program. “Teams of FAA engineers and inspectors conduct regular oversight of an ODA to ensure any approvals or certificates issued meet the FAA’s strict safety standards,” the FAA said. The inspector general also reported in 2015 that the FAA lacked a comprehensive process to determine appropriate staffing levels to oversee the program. The FAA said in a 2017 report that collaboration between FAA and designated companies had improved, but David Soucie, a former FAA safety inspector and CNN analyst, said the program still raises safety questions. Soucie said the FAA can audit the work of the designee program, but he questioned the extent to which that happens and recommended an overall reexamination of the program and its potential vulnerabilities. John Goglia, a former National Transportation Safety Board member, told CNN he had concerns about what he described as the “cozy” relationship between some FAA regulators and the manufacturer’s designated employees. The FAA, for example, has offices dedicated to Boeing safety facilities. Given that Boeing is the only US commercial aviation manufacturer, it’s not necessarily inappropriate for the FAA to be close to the company. Agency capture is a common feature in just about every federal regulator that caters to a narrow domestic market. Rep. Peter DeFazio, chairman of the House Transportation and Infrastructure Committee, told CNN that while he has general confidence in the FAA’s designee program, he wants to know how the FAA approved the automated flight software of the 737 MAX and its manual, and the extent to which Boeing employees were involved in those decisions. “My committee is going to get all of the correspondence and documentation that’s relevant to this decision and review it and determine where we go from there,” DeFazio said.